"When looking for signs of early glaucoma, clinicians tend to focus on loss of peripheral (side) vision and seldom on the macula, the central area of the retina – which determines our ability to read, drive, and to see our children's faces," said Donald C. Hood, the James F. Bender Professor of Psychology and a Professor of Ophthalmic Science at Columbia University, who co-authored the study with C. Gustave De Moraes, an associate professor and the Medical Director of Clinical Trials in the Department of Ophthalmology at Columbia University Irving Medical Center. For the study, the researchers examined 57 eyes from 33 patients diagnosed with early-stage of glaucoma using two different visual field measures. All participants were tested with the 24-2 visual test, which uses with a grid of 54 test points (projected lights). They then conducted an additional assessment using a 10-2 visual field test, which uses a grid of 68 test points. 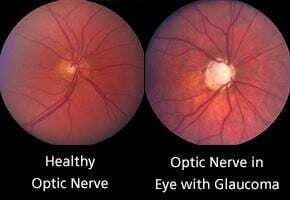 In addition, optical coherence tomography (OCT) – which is a high-resolution imaging device analogous to an MRI – was used to confirm the presence of damage.